The history of Turkish painting dates back to the cave paintings belonging to pro-Turks and Huns and includes such classical peaks as Uyghur and Ottoman schools. However, modern Turkish painting is considered to not have begun before the 19th century. In fact, modern and classical styles are completely different in the case of the Turkish art of painting. Modern Turkish painting began with painting lessons given at the Mühendishane-i Berr-i Hümayun (The Royal School of Engineering) for technical reasons. The local Christians as well as the Levantines contributed to the start of the Turkish painting in Western meaning. Moreover, there were the "primitives" who were imitating photography. The first modern painters such as Osman Hamdi Bey and Şeker Ahmet Pasha were educated and lived, at least some years in their lives, abroad; thus, they would be called the Paris group. Others followed the footsteps of the Paris group and formed their movements accordingly. The 1914 Generation relying on figurative and portrait painting was succeeded by the little-known The Independents, which was indeed a reflection of the cubist revolution in European art. The famous D Group followed The Independents and dominated the artistic understanding of Turkish painters until the 1950s. Finally, the Newcomers Group was formed to oppose the mainstream with a socialist-realist approach. The Newcomers were Avni Arbaş, Agop Arad, Turgut Atalay, Haşmet Akal, Kemal Sönmezler, Selim Turan, Fethi Karakaş, Ferruh Başağa, Mümtaz Yener and Nuri İyem. They were also called the Harbour Painters, because of their first group exhibition named "The Harbour." Among the Newcomers, Nuri İyem is the most famous of all thanks to his sad but human and domestic woman portraits. Nuri İyem was born in 1915 in Aksaray, Istanbul as the seventh and last child of Hüseyin Hüsnü Bey, a public servant, and Melek Hanım, a housewife. Three years later, the İyem family moved to Cizre, Mardin in the southeast of Turkey because of İyem's father's duty. İyem lost his elder sister Aliye, whose eyes and looks would have a dominant effect on his art, in 1922. The death of his sister touched him deeply. İyem once told his devotion for the art of painting as follows: "I fell in love with the art of painting in my early childhood. My father slapped me a dozen times because of my passion toward painting. One day I used his razors in order to sharpen my color pencils. Unfortunately, the razors were broken as I sharpened my pencils. My father discovered what I did and slapped me a dozen times before asking anything. Painting was so lovely to me. Think of it like that." He was schooled in different schools in various Turkish-Ottoman cities including Mardin, Shkodra (now in Albania) and Istanbul. When he was attending Pertevniyal High School in Istanbul, he was admitted to the Fine Arts Academy. Nazmi Ziya Güran, a famous painter of the 1914 Generation, helped with his admittance. Güran was also one of his teachers at the Academy. İyem also worked with the other 14'ers, including İbrahim Çallı and Hikmet Onat. Famous poet and novelist Tanpınar was the aesthetic teacher at the Academy. In 1937, İyem graduated from the Academy and one year later joined the army for his compulsory military service. After serving in the military, İyem was appointed as a painting teacher at Giresun High School. The young painter returned back to Istanbul in 1940 in order to attend the High Painting Department of the Academy, from where he graduated in 1944. İyem joined the Newcomers movement in 1941. The group included socialist-realist artists such as Avni Arbaş, Agop Arad, Ferruh Başağa, Fethi Karakaş, Haşmet Akal, Kemal Sönmezler, Mümtaz Yener and Selim Turan. The group opened their first exhibition titled "Istanbul, Harbor City" at the Beyoğlu Imprints General Directorate building. Prominent philosophers and authors such as Hilmi Ziya Ülken and Tanpınar supported the group and the exhibition. İyem opened the first private painting course in an apartment in Beyoğlu with his friends Fethi Karakaş and Ferruh Başağa. The Newcomers opened a second exhibition titled "The Woman" in 1942. Thanking Ülken for his support, the group opened their third exhibition at the Eminönü Halkevi (People's House). İyem joined the army for his second military service due to World War II. He served another 18 months in Edirne and Istanbul. He married Nasip Özçapan in 1944. The following year, he was arrested for provoking political unrest among the students at Istanbul University. He was released after 18 months. This iconic face has numerous versions, but all can be seen since they share "shy, beautiful and melancholic" looks, as portrayed by Tanpınar. Tanpınar thinks that these looks make İyem's painting a national masterpiece. In the 1950s, İyem joined the Turkish Painters Exhibition in the Netherlands. He also joined the Venice and San Paolo biennials. Meanwhile, he began to make abstract and figurative abstract paintings. İyem created his first sad face lady portrait in the 1960s, which were harsh times for common people. Immigrant women suffered greatly because of the rapid and cruel modernization. However, the sad face the women in İyem's portraits has a double meaning. One is the socialist-realist point of view, while the second is the personal grief arising from the unforgettable death of the artist's sister. İyem was granted the Republic's Centennial Award in 1973. In the 1980s, he gained nationwide fame. In 1997, he was praised as the "Honorary Guest Artist" of the 7th Istanbul Book Fair. His paintings were exhibited in various occasions including the 5th Anatolia Music Festival held in many cities of Turkey. 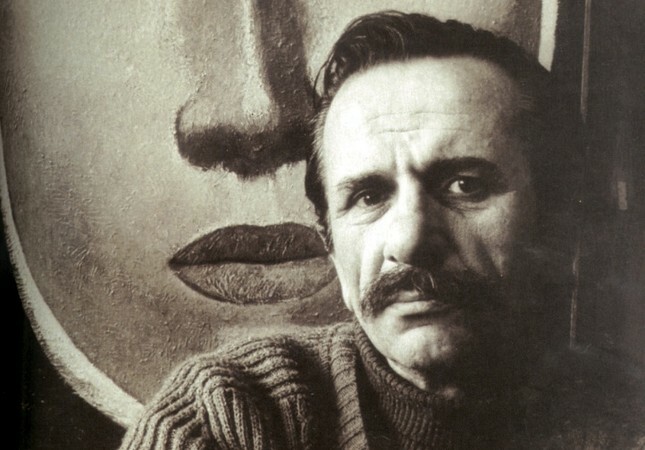 In 2001, the "Nuri İyem Retrospective" event exhibited more than 1,500 of his paintings. İyem died on June 18, 2005 in Istanbul. The Evin Art Gallery began to give the "Nuri İyem Painting Award" annually after his death.